I heard exactly what he said the other night... but it wasn't until this evening, that I realized what he meant. We shared an amazing dinner and a bottle of wine, a few nights ago. After dinner, I went into the kitchen to get the Tiramisu that I had made for dessert. As I was returning, I noticed his shadow dancing on the wall, from the illumination of the three candles that were burning. I was MESMERIZED for a few seconds and I thought to myself, "No matter how dark things may appear, he is always covered in the light." 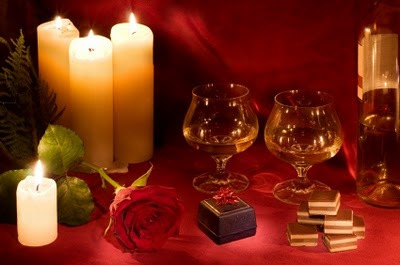 I walked back over to the table and handed him his dessert, as he reached over to open the most expensive bottle of liquor that he had. I became a little nervous, being that I'm not much of a drinker. "it's not the quality of drink but the one who shares your glass, that matters"... he responded. He proceeded to open the bottle and handed it to me. I took the bottle and poured the liquor into his glass. He then slid his glass across the table, over to me. I took a sip from his cup, it was strong but smooth. He smiled, as I handed his glass back to him and then he took a sip. Won't you come on, come home"
I did my little "Jagger" dance and then he stood up and out "Jaggered" me! HAHAHA! We were laughing so hard. For a moment in time, we were just "us"... like we used to. 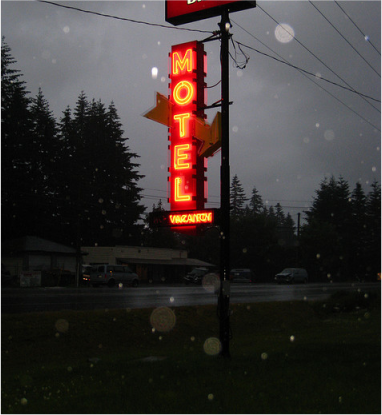 Tonight as I was looking outside the window of the Motel, it began to rain. I started to think about what he had said the other night, as my eyes were fixated on the Neon sign in front of me. You SEE... there is a QUALITY in the way he speaks. His voice is STRONG yet SMOOTH and there is usually a DOUBLE meaning behind his words. Many people will say, that he speaks in parables or that they don't understand the message he's trying to get across. I on the other hand, tend to dissect his every word. I want to unveil the hidden TREASURE, that is beneath them. Suddenly, I felt this coldness in the air, as though it came in from outside and shot straight through me. It was like there was a VACANT space inside of me! This is how he must feel, I thought?! He is in the spotlight all of the time. His every move and every word is monitored, twisted, or used against him. How could he possibly trust anyone? Who is the "Cupbearer" to the King? The cupbearer was a highly valued position in the Palace and it was only given to a select few, throughout history. He was of great influence (and was held at high esteem), due to his confidentiality and LOYALTY to the King. He was the closest person to the King and a TRUE friend. One of the requirements for being a cupbearer, was to pour the King's drink. Not only did he pour it, but he drank from his cup, before the King would ever take a sip. This was to guard against anyone who was trying to poison the King. WOW! Can you imagine that??? He would put his life on the line EVERYDAY, for the King. In return, the King would TRUST him with his very own life, also. He was telling me, that the quality or the cost of the drink didn't matter. The fact that he could be himself, be vulnerable and be around someone that he trusted 100% was WORTH more to him than anything! A time, that he wasn't worried about what he said or how he said it. A moment, that he didn't feel alone or vacant. A KNOWING, that I would bear his cup, whatever the cost. People often say, "Friends are the ones, you are willing to sit down and share a meal with." But I believe there's a difference between friends and "true" friends. Jesus shared the last supper with His 12 Disciples. They were His closest friends. But out of the 12 disciples, one of them betrayed Him and there were only three that He confided in. And only one out of the three, that He entrusted His ministry to. Interesting! 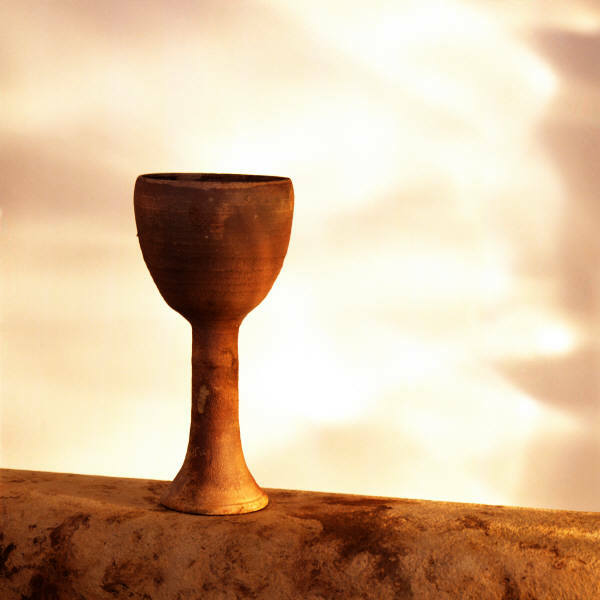 During the last supper, Jesus told His disciples to drink from "His Cup" in remembrance of Him. The cup represented His BLOOD that He was about to shed for them and for all of us. Jesus became the ultimate sacrifice for you and I. "His Cup" is the symbol of LIFE. You SEE, trust and loyalty is not something that's cheap, it is VERY costly. Whose cup are you willing to bear? Tyler or Rose? There the only 2 that could pull off Jagger. I think we forget what stars must go thru they seem to have it all, but maybe they are lonely and don't know who they can trust. This is a great reminder. Thank you. Very true!!! Thank you for reading and for the comment. I truly appreciate it! Beautiful blog. The cup bearer... yeah. Trust is a wonderful thing. Without it we cannot even forgive. And trust is, maybe, venturing the opportunity to have some faith (or fake it till we make it), knowing well that we could be hurt, but hoping for the joy that's beyond that. Thank you for these reflections Lisa. I was missing you for some months now after your last post. I haven't reflected on the cupbearer nor the cup but you've got me hooked here. 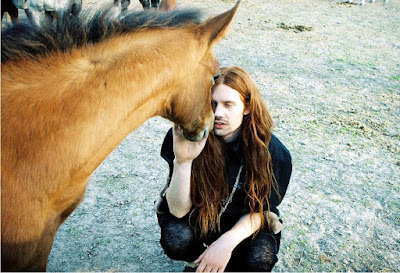 Your thoughts are profound and sublime. And again as we celebrate the Lord's Supper later in the evening, I'll be thinking of the symbolic meaning of Christ's cup..."Am I willing to bear it?" Lisa Marie, what a beautiful interpretation of the last supper. Your words are captivating and really hit the heart. I will remember your words during communion on Good Friday. He did pay the ultimate sacrifice because He loves us. What a blessing your blog is. God be with you, Axl, and Guns n' Roses. Have a blessed Easter. This was such a great and meaningful post. Thank you. I wish you a very happy Easter! How wonderful that this person got to spend some quality time with you. I was watching Get Him to the Greek last night and, while I found it quite funny, I couldn't help but think the lonely life of the star was pretty accurate. I am single and know what it's like to feel lonely, but that is a whole new level. @Tameka Welcome to my blog. "Mysterious and smooth"... thank you for the BEAUTIFUL compliment!!! I'm glad I used your favorite word! ;) Happy Easter to you! @Melissa AMEN! Yes, it IS a daily sacrifice! WOW! "Profound and sublime"... I love that! Thank you always for the SWEET comments and for sharing my blog! @TommyB HAHAHAHA! "Sneaky and magical"... I love it!!! You are too funny!!! Thank you for reading and commenting! I truly appreciate it! @Natile AMEN! Yes He did! The message of the Cross IS Love!!! Thank you for your BEAUTIFUL comment. Have a blessed Easter, as well. @Jessica M Thank you so much! Happy Easter to you, too! @Rachel Hoyt Yes, it is! I totally agree! Thank you for reading and commenting! Happy Easter! WoW! Insightful & thought-provoking post. There's a certain mystery & intrigue to your writing Lisa. I agree with Tameka...it's definitely smooth and has a way of drawing us in. best wishes and thanks for sharing. @Andy David "Mystery & intrigue"... I love that! Thank you so much for the HUGE compliment!!! I truly appreciate it! Happy Easter! You have always mystified me Lisa and this post is just that. I love the way your heart and mind puts words to your posts. Beautiful, Lisa, as always. Thank you.